For all of you who don’t know, Twitter is the fast growing social network communication medium in which people express feelings, daily life, interests, etc. in 140 characters or less. 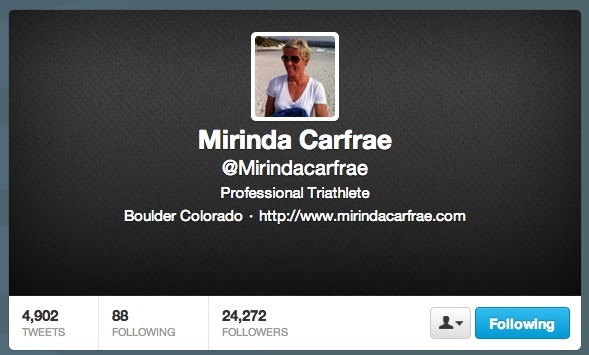 With Twitter, you can follow anyone you want – even celebrities (or for our interest, pro triathletes). Twitter also allows you to post pictures, talk to friends, and see where others are located. My favorite part of Twitter is being able to follow famous people (especially professional triathletes). Following professional triathletes allows you to see what their daily lives are like. They share their workouts, interests, pictures, nutrition ideas, and so much more that can benefit other triathletes. Following a professional triathlete is like getting to know that person – while you are thousands of mile away. Below is a list of professional triathletes I follow (my twitter account is @PatBro_). I have also included several triathlon related twitter accounts that give you info on races, other professionals, and tri tips! So follow away! @boomboomreed: Matt Reed! Professional Triathlete for 16 years, Olympian for USA, USA National Champ. Father of 3 kids, Husband. @usatriathlon: Everything and anything from races to info to athletes all USA Triathlon! @LauraRBennett: Professional Triathlete, Olympian for USA, World Champ… Really Awesome! @hunterkemper: 3x Olympic Triathlete, 7x U.S. Elite National Champ, Husband and dad! 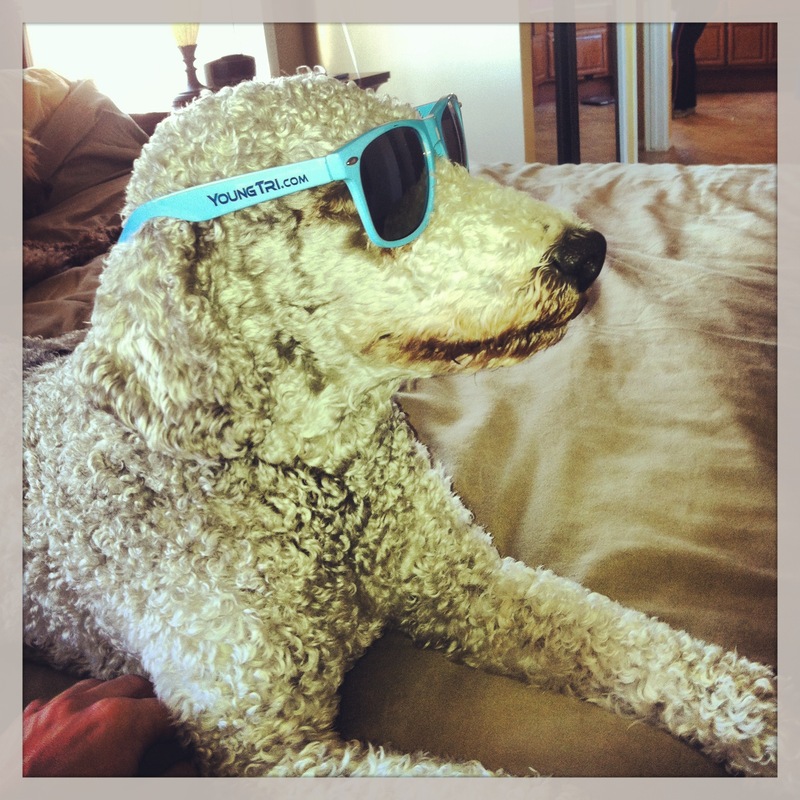 @KevinCollington: Really cool Pro Triathlete from Florida! @sarahhaskinstri: Olympic Triathlete, US National Champ…many more accomplishments! @tollakson: TJ Tollakson – Ironman winner, professional triathlete and engineer! @camdyetri: ITU Elite Racer for USA! @_Moffy: Emma Moffat, Professional Triathlete from Australia! ITU World Championship Series winner! @JennaParkerLive: Professional Triathlete, Actress, Model, Harvard Grad. @PaulaFindlay: Canadian Triathlete, Amazing ITU racer! @IMF_Foundation: Ironman Foundation – raising money through Ironman events and supporting various athletic, community, education, health, human survice and public benefit non-profit organizations around the world. @triathleteprobz: All your triathlon-related problems. Pretty funny! @bengreenfield: YoungTri’s official coach! He shares a lot of useful tips and stories. @TeamWinter: A great foundation for prostate cancer! Founded by Winter Vinecki at age 9 after she lost her father. Enjoy following, learning, and growing with the pros and the other accounts mentioned above! Did we forget anyone? Let us know!